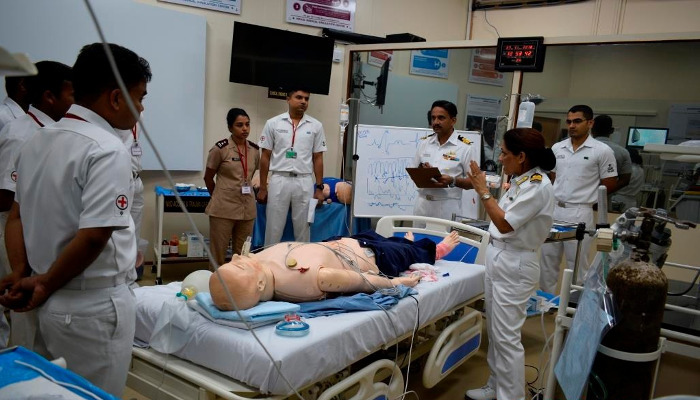 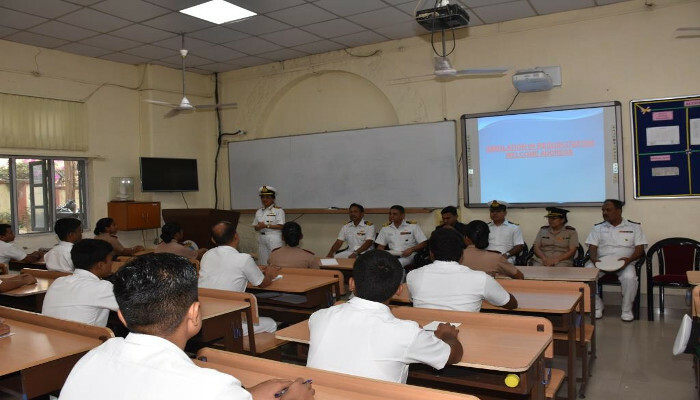 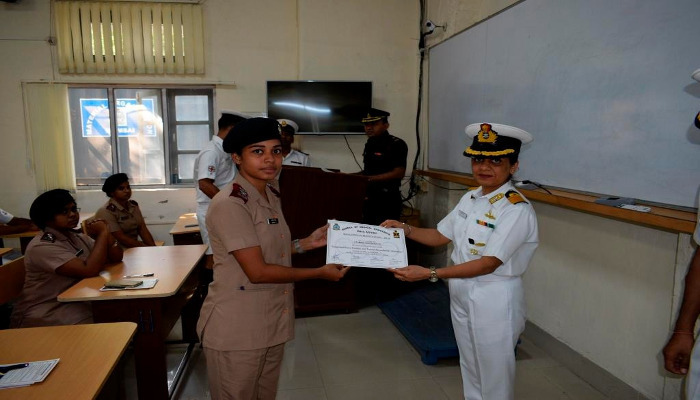 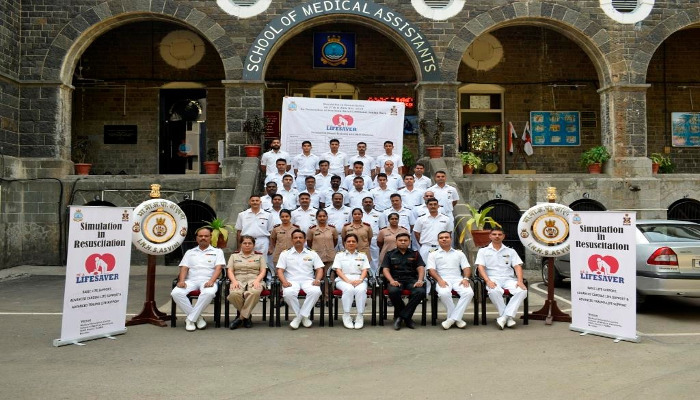 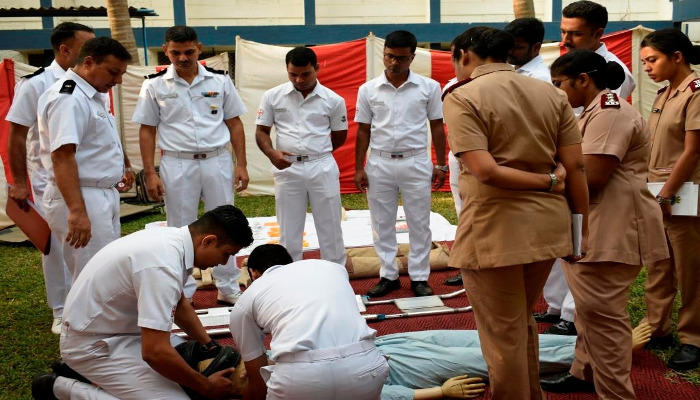 A two day Simulation Based Training Workshop for Nursing Officers and Medical Assistants of Southern Naval Command titled ‘Simulation in Resuscitation’ was organised from 27 to 28 November 2018 at School of Medical Assistants (SOMA), Mumbai. 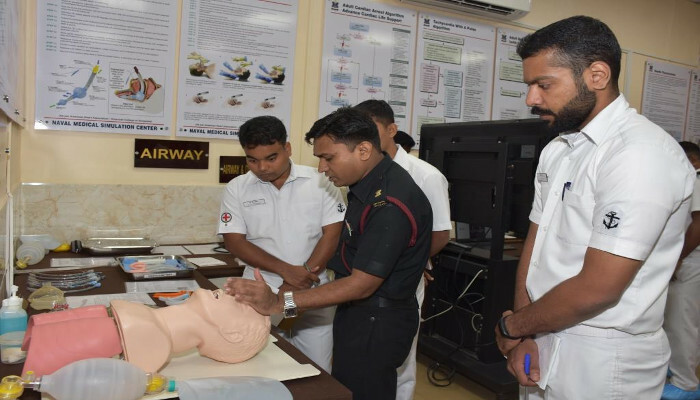 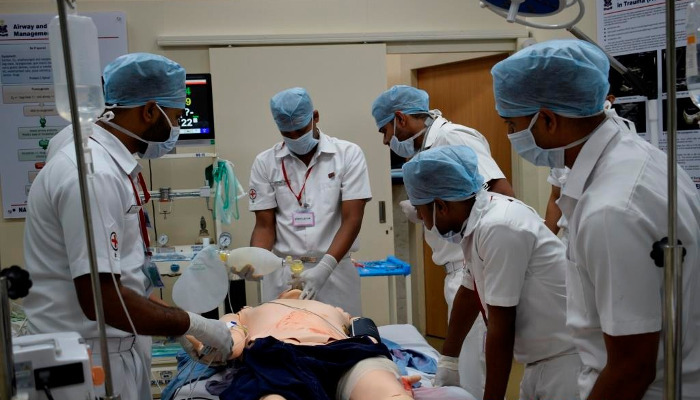 The objective of the workshop was to enhance the knowledge and skills of participants in Cardiac and Trauma resuscitation, as per extant guidelines of Basic Life Support, Advanced Cardiac Life Support and Advanced Trauma Life Support. 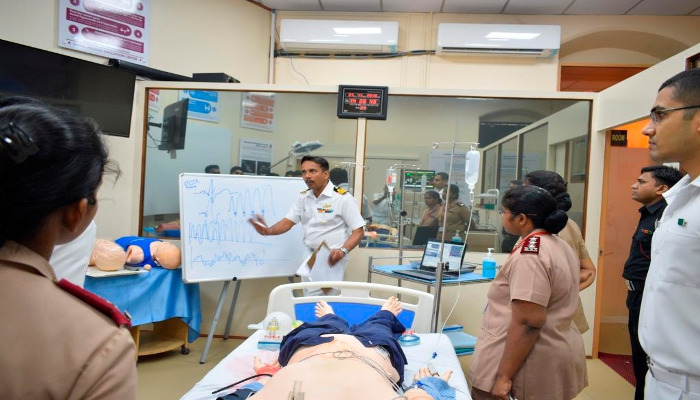 The workshop was conducted by instructors from SOMA along with medical staff of INHS Asvini. 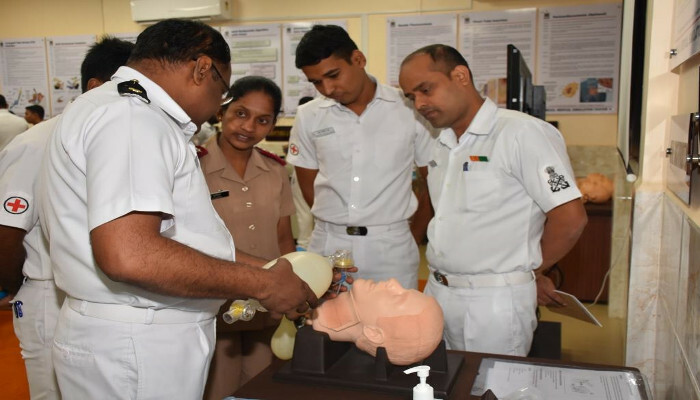 The delegates underwent rigorous hands-on sessions on the High Fidelity Simulation Mannequin (Sim-Man 3G) to hone their skills on Airway and Difficult airway management, Needle Cricothyroidotomy and Intra-Venous and Intra-Osseous cannulation. 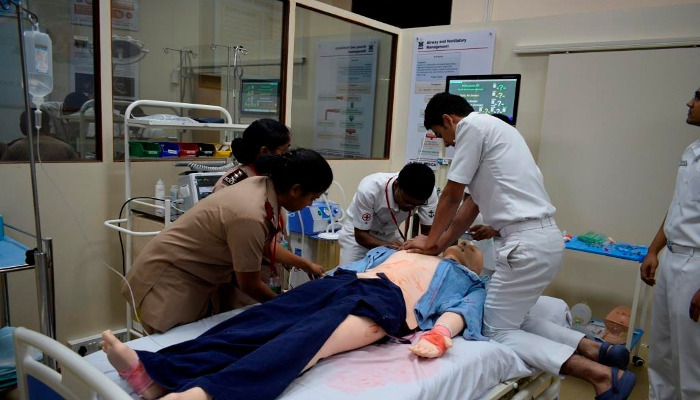 The delegates were also trained on Medium and Low Fidelity Simulation Mannequins (Nursing Anne and Megacode) with simulation of various nursing procedures and Megacode exercises.